Maintaining your fleet is extremely important to reducing vehicle down time and repair costs. Ignoring or delaying what appears to be a small problem can lead to much bigger and expensive repairs in the future. Many maintenance mistakes can be avoided through preventative care. Providing proper maintenance is key for running an efficient fleet. Ignoring warning lights such as the “check engine” light – Putting off warning signs is a risky move and can lead to expenses in time. Not receiving repair quotes from different mechanics – Work with qualified repair shops you trust, shop around for prices and ask plenty of questions. Forgetting to change oil and oil filters in a timely matter – Most mechanics say this is the most frequent things drivers forget and it can be very damaging to engines. Failing to remember fuel and air filter cleaning and replacement– A dirty or clogged filter can negatively affect the way your vehicle runs. Replacing filters routinely equals less maintenance in the long run on the rest of the engine. Not “seeing” the importance of wiper blade and headlight replacement – Avoiding collisions on the road can be as simple as seeing better. Ignoring Brake Sounds – Don’t let those noises go unnoticed, as they indicate pad, rotor wear or another parts issue. It’s important to replace and repair your brakes with quality parts. Do-It-Yourself Gone Wrong – Don’t let drivers “patch up” a problem, take it to a professional, certified mechanic to ensure things are done correctly. Delaying any other scheduled maintenance and inspections- this also applies to governmental required maintenance and safety checks. Learn more about federal requirements here. Not using Maintenance Tracking Software – Ensure your technicians and drivers utilize the latest technology to prepare for routine maintenance. 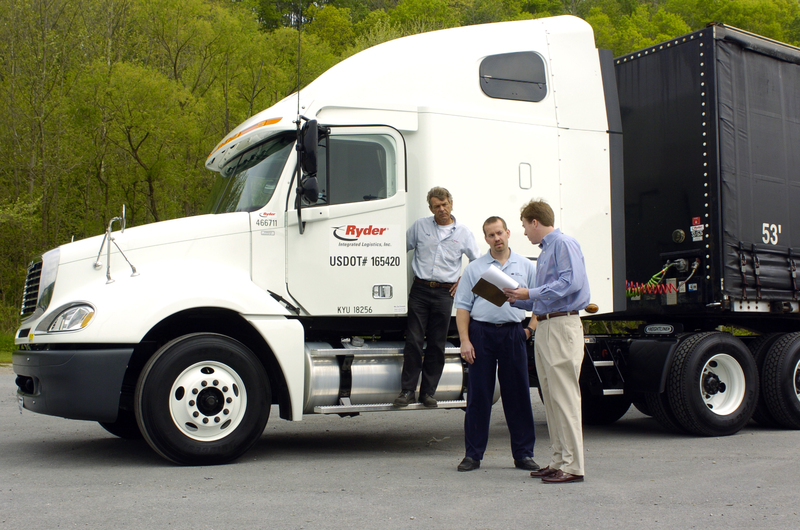 Ryder Fleet Products offers EZM Web, which can schedule, track and control maintenance for your entire fleet. Following these steps can help save on different levels, especially when it comes to time and money. With harsher weather during the winter months, maintaining your fleet is more vital as regular road conditions worsen. Explore all that Ryder Fleet Products has to offer for proper maintenance- not only parts and software required for fleet maintenance but the expertise and customer service as well. If you need to contact us, please visit us here: http://www.ryderfleetproducts.com/contact-us. This entry was posted in Maintenance Tips and tagged Fleet Maintenance, Fleet Maintenance Mistakes by ryderfleetproducts. Bookmark the permalink.